Current District Attorney Adam Levy, at left. On the right, Putnam Valley Supervisor Robert Tendy. There will be a race for Putnam County District Attorney after all. 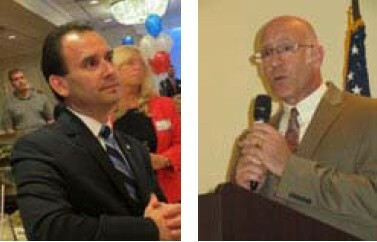 In a shocking upset on Primary Day, Putnam Republicans selected Putnam Valley Super… Please login below or purchase a subscription to the Putnam County Courier to access this content. Congressman Sean Patrick Maloney has assured residents of Putnam County that the Castle Point Veterans Administration Hospital in Fishkill is not going anywhere. 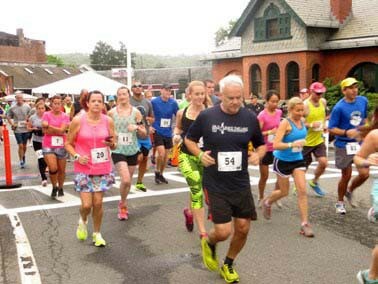 Maloney, the Cold Spring Democrat, was in attendance Sunday at the Brewster Founders Da… Please login below or purchase a subscription to the Putnam County Courier to access this content. 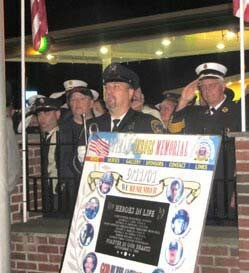 Police and firefighters recall that fateful day. The tradition continued in Putnam on September 11, when 500 men, women and children paused and reflected on the terrorist attacks on the U.S. 14 years ago. A brief and solemn service took place at Cor… Please login below or purchase a subscription to the Putnam County Courier to access this content. 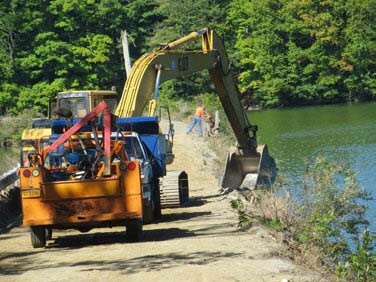 Workers toil Tuesday on the Nichols Street rehabilitation project in Kent. Motorists using Nichols Street in Kent will find a new road later this fall, once highway crews conclude a major renovation of the once dangerous narrow artery. Thanks to a jo… Please login below or purchase a subscription to the Putnam County Courier to access this content. Sheriff’s Department Sniffs Out New Bloodhound! The canine crew at the Putnam Sheriff’s Department is about to expand. Members of the Legislature’s Protective Services Committee learned from Undersheriff Peter Convery last week that a bloodhound will be joining the three German Sheph… Please login below or purchase a subscription to the Putnam County Courier to access this content. 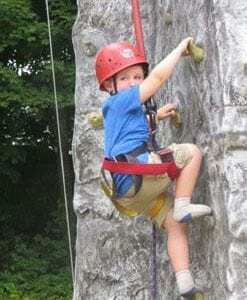 Top: Ryan Griffin, 4, of Carmel, dons protective gear to climb a ‘mountain’ at the community event. Bottom Max Varela, 8, of Lake Carmel loves riding a pony at the event. Hundreds jammed Ryan Town Park in Lake Carmel Saturday for what has… Please login below or purchase a subscription to the Putnam County Courier to access this content. 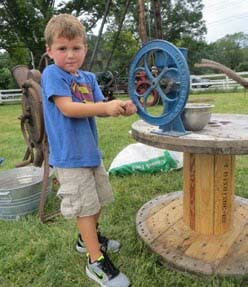 Colton Higgins, 4, of Carmel, uses a turn of the 20th century corn grinder at Saturday’s exhibition. Jeff Hyatt remembered growing up in Holmes and how old-time artisans told him it took almost a year to drill a well with a waterwell drilling m… Please login below or purchase a subscription to the Putnam County Courier to access this content. The Knights of Columbus Loretto Council 536’s Oktoberfest is set to roll out on Saturday and Sunday, September 19, and 20, at Mayor’s Park in Cold Spring from noon ‘til the park closes. This is the Knights’ second annual Oktoberfest charity event wi… Please login below or purchase a subscription to the Putnam County Courier to access this content. The Putnam County Metal Detectorists and Archeological Society will meet on Wednesday, October 7, at the First Baptist Church of Brewster, 460 N Main St., Brewster, at 7 pm. Anyone interested in Metal Detecting is invited to attend. Finds of the Mon… Please login below or purchase a subscription to the Putnam County Courier to access this content.